Where did Jesus get the food for the crowd of people? What food did the boy have in his lunch? Jesus fed 5,000 people with just five loaves of bread and two small fishes. Was there any leftover food? - Paint with Q-tips the Feeding the 5000 worksheet. 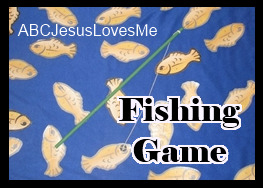 Lay one long piece of yarn out in a Christian fish symbol. Tell the child that you will make smaller fish from the big fish. Ask the child how that is possible? Cut the length of the yarn into smaller (3") pieces. Show how to make little fish from the large fish shape. Explain that this week you will be hearing about Jesus making lunch for more than 5,000 people with just two fish and five loaves of bread. Fill a plastic cup 1/4 full with water. Ask the child to predict what will happen if you turn the cup upside down. Demonstrate. Fill the cup again and ask the child to predict what will happen if you place a index card (a little larger than the cup opening) over the cup and then turn the cup upside down (holding the card in place.) Demonstrate. Now, ask the child to predict what will happen if you turn the cup upside down with the card on the top of the cup but with your hand removed. "Do you think it is impossible?" Slowly remove your hand from the cup. The water surface tension will hold the paper in place for a few seconds. Sometimes things look impossible to us. But we know from our Bible verse that "nothing is impossible for God." - Grab a box and gather several random items of various weight. Allow the child to pick up each item and place in the "heavy" or "light" category. - Introduce the letters Uu using the tactile letters and decorate the Letter Poster to add to the Letter of the Week book. 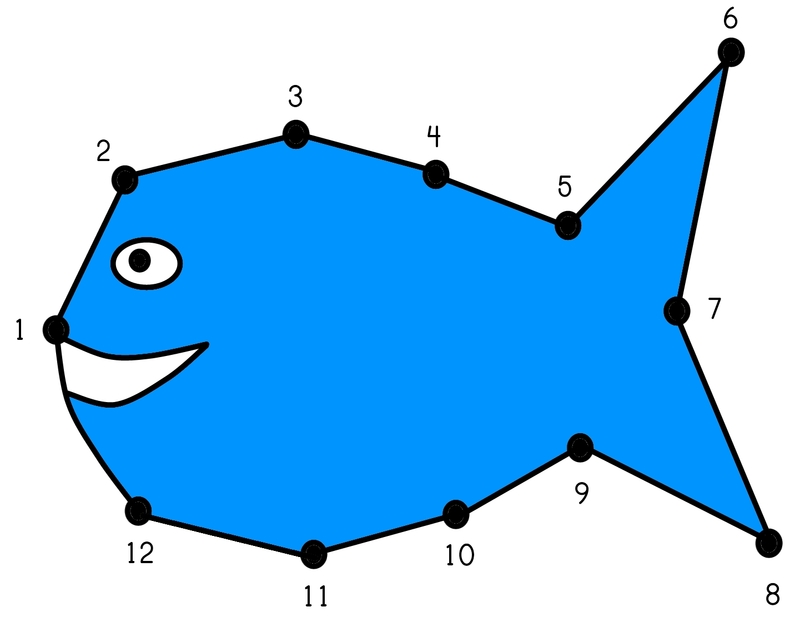 Do a Fish Dot-to-Dot with numbers 1-12. 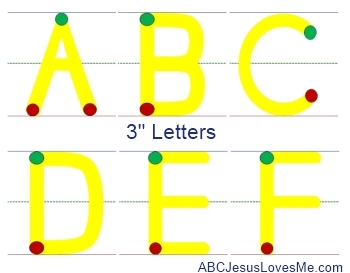 Continue working on the child writing his name on 3" Letters while saying the Letter Formation Chant. - Duck is a great /u/ word. - Discuss the silliness of this book. Decide what is real and what is pretend. On a piece of paper write the number 12, letters Uu, or the child's name. Fingerpaint over the letters or numbers.